Mailbox Monday was created by Marcia @ A Girl and Her Books, and hosted by The Bluestocking Guide for the month of June. I’m so excited to receive my first package from The Book Depository recently. Loving those free bookmarks too. Three weeks worth the wait! 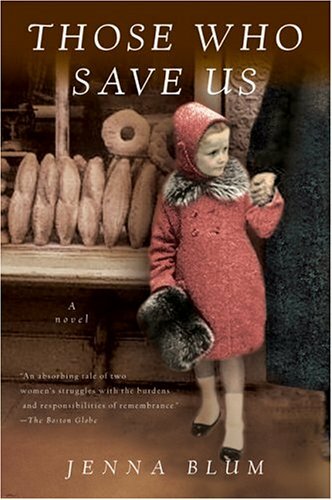 Those Who Save Us by Jenna Blum: "Anna Brandt is eighteen years old in 1939. In her hometown of Weimar, Germany, where relationships between Germans and Jews are outlawed, Anna and the man she loves are committing the crime of race defilement." "When Anna is forced to flee the home of her father, a Nazi sympathizer, she takes refuge in a bakery owned by a Resistance member. Soon Anna is making pastries for the officers of nearby Buchenwald while also making "special deliveries," risking death to bring bread to the camp's inmates." "Then she is noticed by one of Buchenwald's highest-ranking officers. And everything changes." Five decades later, long after Anna has emigrated to Minnesota, she still refuses to speak of her wartime experiences. Anna's daughter Trudy has only one clue as to what they might have been: a family photograph featuring Anna, Trudy, and the Obersturmfuhrer. Haunted by the guilt of her heritage, Trudy, now a professor of German history, begins a deeper investigation of the past and not only finds a chance for redemption but unearths the heartbreaking secret her mother has kept for fifty years. The Last Time I Saw Paris by Lynn Sheene: May 1940. 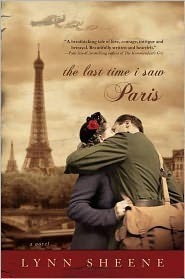 Fleeing a glamorous Manhattan life built on lies, Claire Harris arrives in Paris with a romantic vision of starting anew. But she didn't anticipate the sight of Nazi soldiers marching under the Arc de Triomphe. Her plans smashed by the German occupation, the once- privileged socialite's only option is to take a job in a flower shop under the tutelage of a sophisticated Parisian florist.In exchange for false identity papers, Claire agrees to aid the French Resistance. Despite the ever-present danger, she comes to love the enduring beauty of the City of Light, exploring it in the company of Thomas Grey, a mysterious Englishman working with the Resistance. Claire's bravery and intelligence make her a valuable operative, and slowly her values shift as she witnesses the courageous spirit of the Parisians. But deception and betrayal force her to flee once again-this time to fight for the man she loves and what she knows is right-praying she has the heart and determination to survive long enough to one day see Paris again. The Library of Shadows by Mikkel Birkegaard: An engrossing literary thriller of intrigue and conspiracy. When Luca Campelli dies a sudden and violent death, his son Jon inherits his second-hand bookshop, Libri di Luca, in Copenhagen. 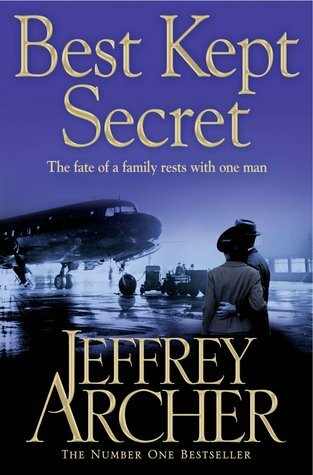 Jon has not seen his father for twenty years since the mysterious death of his mother. When Luca's death is followed by an arson attempt on the shop, Jon is forced to explore his family's past. Unbeknown to Jon, the bookshop has for years been hiding a remarkable secret. It is the meeting place of a society of booklovers and readers who have maintained a tradition of immense power passed down from the days of the great library of ancient Alexandria. Now someone is trying to destroy them, and Jon finds himself in a fight for his life and those of his new friends. Anna Karenina by Leo Tolstoy: Some people say Anna Karenina is the single greatest novel ever written, which makes about as much sense to me as trying to determine the world's greatest color. But there is no doubt that Anna Karenina, generally considered Tolstoy's best book, is definitely one ripping great read. Anna, miserable in her loveless marriage, does the barely thinkable and succumbs to her desires for the dashing Vronsky. I don't want to give away the ending, but I will say that 19th-century Russia doesn't take well to that sort of thing. 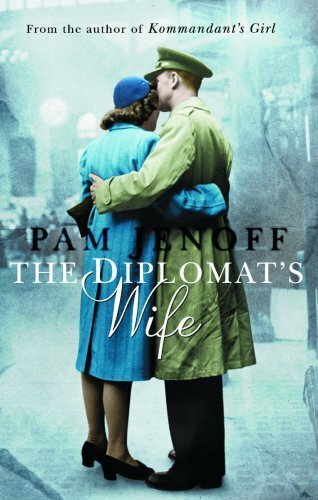 The Diplomat’s Wife by Pam Jenoff: How have I been lucky enough to come here, to be alive, when so many others are not? I should have died.... But I am here. 1945. Surviving the brutality of a Nazi prison camp, Marta Nederman is lucky to have escaped with her life. Recovering from the horror, she meets Paul, an American soldier who gives her hope of a happier future. But their plans to meet in London are dashed when Paul's plane crashes. Devastated and pregnant, Marta marries Simon, a caring British diplomat, and glimpses the joy that home and family can bring. But her happiness is threatened when she learns of a Communist spy in British intelligence, and that the one person who can expose the traitor is connected to her past. Looks like they're all good reads. Enjoy! Great mailbox! I would love to read The Last Time I Saw Paris. What a great week for your mailbox! Anna K has been on my shelf for a while. I've heard it's great too, but just can't seem to get the courage to tackle it just yet. The Library of Shadows also sounds fantastic. Enjoy! What an absolutely fabulous selection of books! Thanks for dropping by my blog! I was also drooling at the pictures of Tessa's bookshelf, I even looked up some bookstores that are about to close shop near my area. Unfortunately, I found none - which shouldn't be unfortunate, but rather, very Fortunate since I would have more places to get books, right? And you know what? I didn't think that writing mini reviews could be so addictive, it's like I just want to do mini-reviews for every book! But that would be unfair though, especially to those that were really fantastic. I loved The Diplomat's Wife! A friend recommended Pam Jenoff to me. I had never heard of her until then. Her books are very good. I completely agree--naming the greatest book ever is like naming the greatest colour ever. Not possible! Wow, that was deep. So, I guess it takes a rainbow variety of books to name the greatest ever (collectively). I seen mixed reviews on The Library of Shadows. The premise sounds interesting. Look forward to your review.